Video games; they come in many forms and styles – from the classic simplicity of Pong right up to the overwhelming complexity (and life-like flow) of upcoming games like Beyond: Two Souls. They have evolved from simply completing an objective to an entertainment experience that in some cases rival the biggest movie blockbusters released to date. They have gone from an emotionless bleep and blip as you ricochet a horribly low resolution “ball” (more like a square) back and forth, to characters and settings that dig themselves so deep into your mind with their layered personalities and top notch acting that you become irrevocably attached. 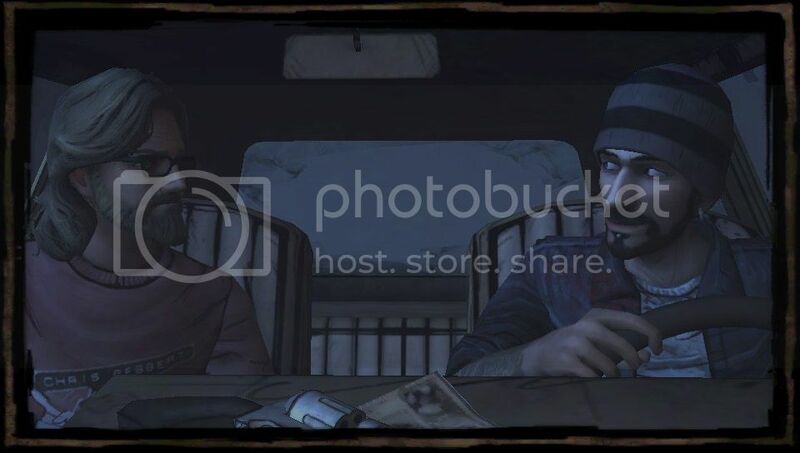 The Walking Dead from Telltale games is definitely the latter – and does so with a narrative so gripping it might even rival Quantic Dream’s Heavy Rain. Our protagonist. No, not the cop – the guy in the back. The Walking Dead puts you in the shoes of a very realistic (read: flawed) character named Lee, who isn’t quite the protagonist you’d expect; a convicted murderer, he was on his way to jail as this zombie apocalypse spread around him. By stroke of luck (good or bad, we’re not quite sure given what follows), he escapes from his upcoming incarceration only to become an unwitting participant in a real-life zombie run… the kind without a finish line. Throughout the game you’ll face many choices, most of which directly affect the route of the story and the way those you meet will treat you. Pick sides and the one you’ve wronged might not be so quick to help you in a time of need, but maybe the one you’ve sided with will. It’s a balancing game that shows us not all choices are black and white, but rather shades of grey – and that the butterfly effect is a powerful thing. True to its word, this one’s a unique play for everyone. Discussing this game with a friend (Tyler, or MrPsVitaReviews to his Twitter/Youtube followers) has shown that not only do choices have immediate consequences, but they can even have a ripple effect that lasts all the way from your first meeting with a stranger, right up to the final moments of the season. The people change, the scenery changes and the lines change; there’s much more than a linear story here and that’s what helps to make this game stand out. As such, it does have replayability despite being a story-driven adventure of sorts – though some of the major events may be the same, the path to get there could be quite different provided you make even slightly different choices. 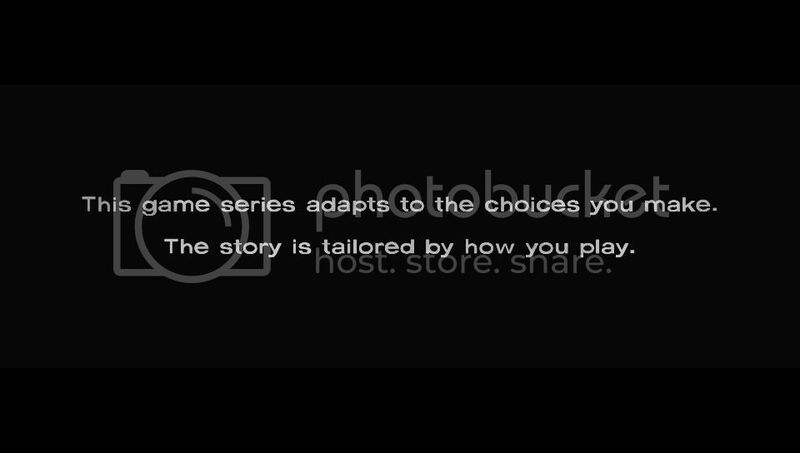 That said, like the “choose your own adventure” stories you used to read as a kid, the game DOES have a limited set of options so don’t think you’ll find a drastically new story on your second play-though. 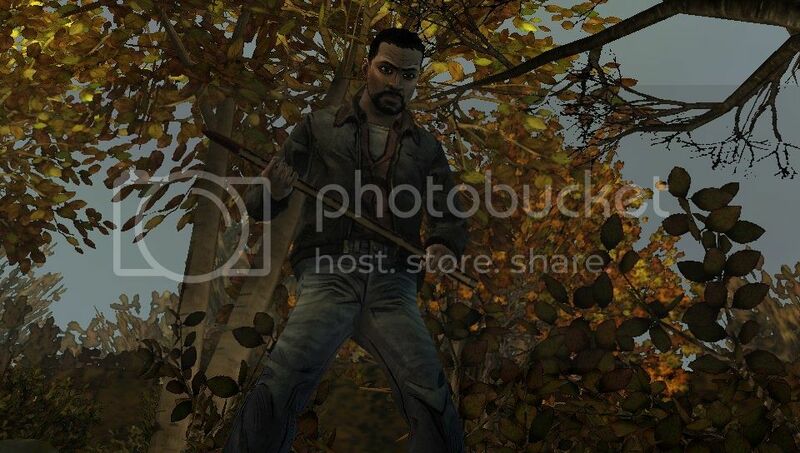 The Walking Dead for PlayStation Vita also includes the recently released “400 Days” DLC, which ties into the theme of the original through a series of short stories designed around some unique characters. There are five main sequences to “400 Days”, each following its own set of characters (or rather a primary character and those around him). Once completed, these are followed by a “tie-up” chapter to bring them all together. This is the video game equivalent of a set of short stories that interweave at the end – akin to the movie “Pulp Fiction” or the relatively more recent “Sin City”. Each story is between ten and twenty minutes of play (depending on your reflexes and/or haste), and makes for a good “cool down” play after the emotional roller-coaster that is the main game. The characters used here may be likable, but they definitely don’t have the emotional pull that the main story ones have. For me this was mainly due to the shortness of your time with them, as they don’t really have a chance to grow on you. 400 Days is a fun distraction, but the atmosphere and intensity from the core story-line just aren’t present and as such it suffers from some shallow areas and characters. I really love the graphic style on this one. In the graphics department, you have a bunch of beautifully rendered components, the pastel-like textures popping on the Vita’s OLED screen. The lip-sync of the characters and the overall look of the game is superb – though it does suffer from a few small issues. With the charging cable plugged in, transitions between game-play/cinematics and choices you’re given are slow (almost “go get a beer” slow). This issue is minimized when playing without the charger, though a slight pause can still be seen at each transition. The sound is spot on, delivering great voice acting, true-to-life sound effects and some very ominous overtones when needed. The only issue I had with the audio was a repeating voice over somewhere in the fourth episode – though it didn’t last for more than a few seconds and cut right back to where it was supposed to be. Subtitles left me wanting, however; as they often strayed from the spoken words or just cut off and skipped to the next line without finishing. There were letters capitalized when they needn’t be and others in small case when they should be capitalized. It didn’t really detract from the story too much, but it was quite annoying and could hurt your experience a little if you’re playing without sound (thankfully I wasn’t). Controls are (for the most part) mapped to virtual indicators on the touchscreen, meaning that other than movement there’s not a lot you can do with the physical buttons. Prompts for choices, quick-time events and other indicators are all dealt with on-screen here; while this works quite well, a few times I found myself wondering why they couldn’t have mapped the camera movement to the other analog stick while they were at it. It would’ve made for a slightly more seamless experience as the camera movement using the touch screen was a bit hit-and-miss – but that said, I never once “died” from the control scheme so it really worked out quite well overall. Get it? “As it stands” ?? ?… Shut up, I’m funny. 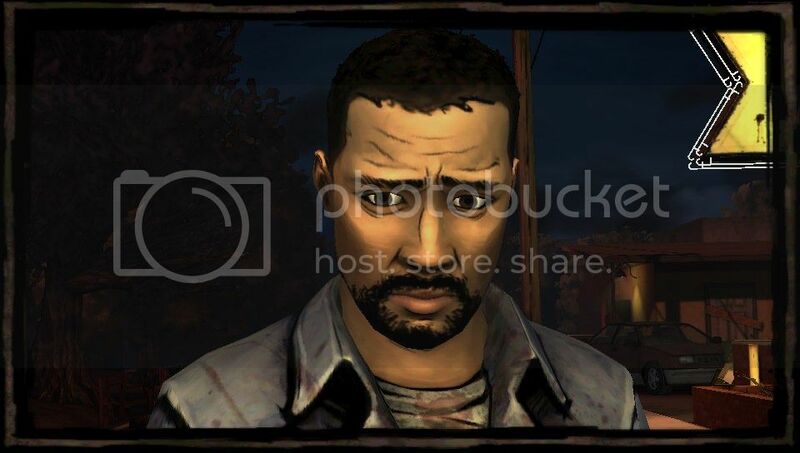 As it stands, The Walking Dead: Season One is easily the best story driven experience on the PlayStation Vita – the graphics, sound, story and method of play are all very well executed (aside from some minor hiccups that I fully expect Telltale to remedy with a patch), and as such it carries the brunt of the score. The “400 Days” DLC, which is included in this package, is a great addition to the theme they’ve built with the first season. Though it’s quite shallow due to the time you spend with the various characters, it ties together nicely and does so while being quite enjoyable as “something different” while still being true to the universe. As a standalone piece, it’s easily a 3.8/5.0 – though I would’ve liked to have seen them focus a bit more on the characters (either by cutting down the number, or making it longer overall). 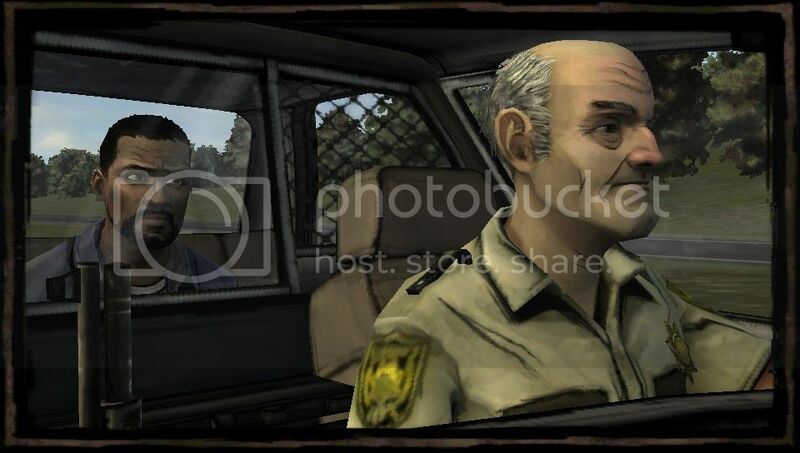 The Walking Dead delivers a blockbuster-quality narrative with an excellent execution. Easily the best story-driven game on Vita, this is a must buy. You’re a good writer man! I might buy this game again even though I played it on the PC. I can’t wait for his next big review. Thanks, it was a pleasure to play and write about. Games like this are why I started reviewing in the first place. Yes awesome review. Can’t wait to play it! Oh, man. this is quite the emotional roller coaster. Couldn’t play it without crying, and what video game does that? None. Although the ‘game’ aspect of it is rather shallow, the story more than makes up for it and keeps you gripped to the end. I cannot wait for season 2 to start… I must see what happens next! What the…? Did you even play the game on the Vita?? The game is technically broken – with many stuttering and freezing – which really destroys the pleasure of the game. As I stated, I only experienced significant issue when the charger was plugged in (it’s a system issue). Are you playing while on the charger?